Approval of the minutes of the Commission meeting held on October 4, 2018. Discussion on the proposed 2019 Commission meeting schedule. Presentation on the Downtown Transit Connector by Greg Nordin of RIPTA. Vote to consider adoption of the proposed development guidelines for Parcels 14, 27, 28, 37, 34, 35, and 41. Discussion regarding the issuance of a Request for Proposals for Parcel 28. Discussion on the proposed development by The Fane Organization on a portion of District Parcels 42 and P4. Discussion regarding extension to December 31, 2018 of both Level 2 Approval and the due diligence period and regarding terms of Purchase Agreement with The Fane Organization and votes regarding these matters. 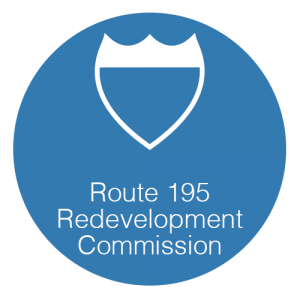 Chairperson’s Report/Agenda for next meeting on Wednesday, December 12, 2018 at 5:00 P.M.
* A copy of the proposed development guidelines can be found on the District’s website: 195district.com . If the city ultimately crumbles to the political pressure and chooses to walk away from 300 million dollars in private investment, shame on you. Providence needs an investment of this magnitude that can serve as a catalyst for building up the density the district sorely needs. I get the need for more affordable housing needs. However, without these larger projects, where do you think the tax dollars are coming from to augment those financial endeavors? You can’t have one without the other..